After a relatively long and technically difficult process BP has managed to locate and install the three-ram Lower Stack on the flowing well in the Gulf. At the same time the viewing site has been changed, so that the feeds from all 14 ROVs can be seen together. 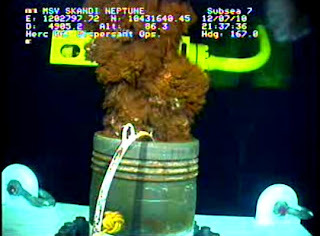 The view from Skandi ROV2 shows the flow from the well is now issuing from the segment of drill pipe left at the top of the stack, after the installing drill pipe was disconnected. Flow from the top of the 3-ram stack at 10:45 pm Eastern Monday – the color is due to the injection (through the white feed) of the dispersant into the flow. 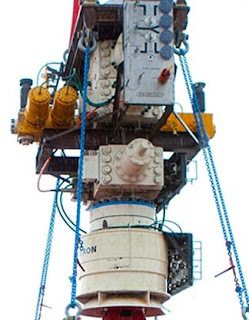 Just as a reminder, this is how the assembly looks underneath this drill pipe. BP held a press conference on Monday in which they commented on the problems noted on Sunday with the Helix Producer feed, and that these had been fixed. We did encounter two problems which created some delay yesterday. One was with issues on a hydraulic control line for a valve (so that it couldn’t work) and the second was a leak in the methanol system. Both of those issues have been resolved and we will be starting up the helix producer later today. It will likely take several days to ramp up to a full capacity, which is at about 25,000 barrels a day, which with the Q4000 would give us a total capacity of around 33,000 barrels a day of containment. BP also admitted to a slight problem that delayed the installation of the 3-ram stack today, though as with the flow line problem it has also been fixed to allow the installation which was completed after the press conference. We did have a problem with the deployment real (sic) on the Inspiration. We had a backup plan and moved to that backup plan and will be attaching the cap later this morning. 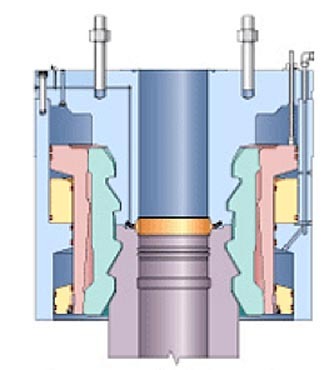 With the stack in position, the next step is to connect up the hydraulics, so that the power can be applied to the rams and that they will close the flow. This is some of what is going on with the array of other ROVs whose operations are now available for monitoring. Prior to that I suspect that they will, Monday evening, check the flow of oil through the kill line to the Helix Producer, to ensure that it can handle the flow, and that this will occur concurrent with the flow to the Q4000. Once those numbers have been confirmed, and the flow conditions validated, the shear rams will be closed. I would suspect that this will happen first, since it will increase the pressure in the well somewhat, as the flow path out is restricted to the kill and choke circuits. Then, after checking to ensure that the well is retaining its integrity – no leaks into the surrounding rock through the casing or any other of the horrific disasters that have floated through comments over the past few weeks – the flow to the choke and kill will slowly be closed. As they are closed the pressure in the well will continue to be monitored, together with the flow out of the two lines. (Having now read the full transcript I note that BP are going to do it the other way around, closing the rams last instead of first. Well I think it might be more logical to do it the other way, but they know more about the relative benefits of the choice than I). If the pressure continues to rise (indicating no leaks) as the flow trails to zero, then the well will have been shut-in. The flow will have stopped, and a test will be run, for a planned 48 hours to ensure that all the seals are holding. At that time I expect that the choke and kill lines may re-open, but without there being some unforeseen incident, I do not expect the rams to re-open. Once the well stops pumping out oil into the Gulf, the political difficulties in restarting that flow un-necessarily are considerable. And if there is a problem then in addition to the choke and kill lines the riser to the Enterprise can be re-connected, and take 15,000 bd up the pipe, for a total system capacity of around 50,000 bd without letting any more oil out into the water. If the current tests are successful, then the risks of additional leakage into the Gulf during a Hurricane are also going to be greatly reduced, and the pressure on the relief well becomes a little less. We’re now at 17,840 feet. We’ve completed our eleventh ranging run to locate the original well bore, we’re approximately five feet away from that well and we’re about 30 feet vertically from the point at which we’ll set casing. 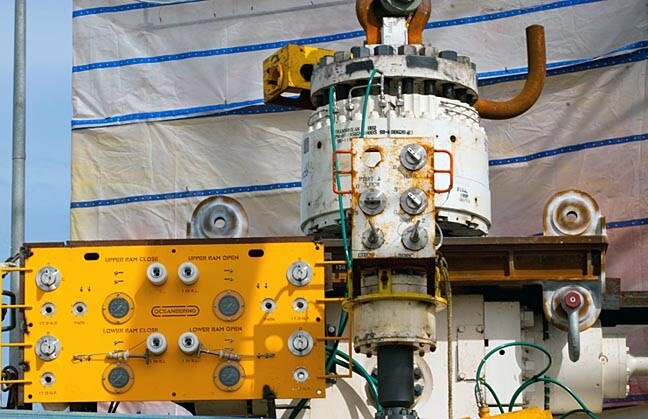 We expect the casing operation to begin this coming weekend. Work on the second relief well has now been stopped with the current end cased and cemented, until circumstances indicate that it will be needed. we’ll get to the final casing point. Then we actually do what we call open up the hole. We just make the hole a little larger so that we can run the casing an cement it in place. After we do that we’ll run some logs, which are basically tell us about the cement bond log, tell us about making sure everything’s right. And then we’ll prepare to start to drill out and we’ll have done a BOP test before doing, so there's a fair amount of work to do before we sort of start to drill out. And then we’ve got about another hundred feet to go, is what we’re anticipating before we intersect the Macondo well, and of course that will be plus or minus, it won't be exactly a hundred feet. But it will be in that range. But we would drill that very precisely doing a number of ranging runs. And that will all take time so that’s why you’ve heard me talk before. 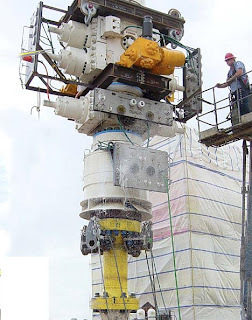 I anticipateus intercepting the Macondo well sometimes toward the end of July and then the kill procedure, the kill and cementing procedure, depending upon where the flow is, analysis, casing or boat, could be anywhere from a number of days to a few weeks to do that. Incidentally in the press conference on Sunday morning Kent Wells noted that each of the bolts on the flange of the riser weighed 52 lbs. In the afternoon briefing they also noted that there was only one piece of drill pipe found in the BOP, at the moment no-one knows what happened to the second piece of pipe. And for those who, like me, have some difficulty working out which camera is showing what, here are some additional shots of the stack (h/t Mark Moore), from different angles, so that some of the component locations may be clearer. And this is the main control panel, with the ability to operate the valves with the ROVs made rather evident. I suspect this picture was taken a little while ago, and the port cut for a valve with a cutting torch has been cleaned up a little since then.